It's still very cold. After a wet weekend, with snow flurries on Sunday, this morning dawned with a heavy frost, the fountain frozen and a thick fog. The winter is really hanging on. And it's so wet! 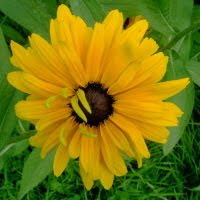 There is a spring at the top of the garden which has never flowed so strongly. The drainage channels that feed the water feature and ponds are over-flowing and everywhere is squelchy. 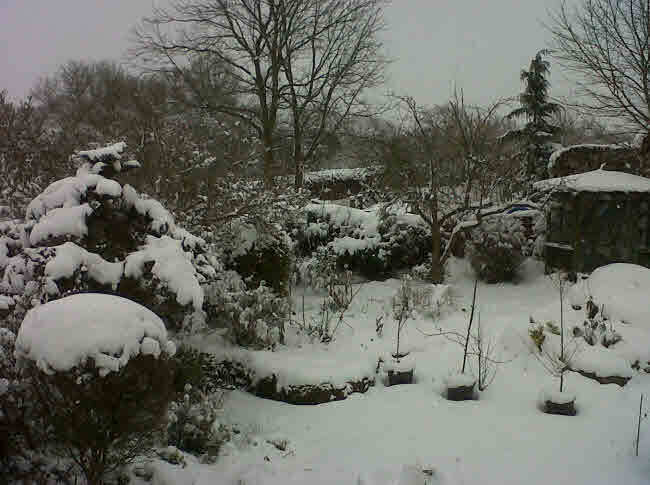 Last year, in mid March, we had started planting broad beans and potatoes. I can't see that happening for another 3 weeks. The beds are much too wet to dig over let alone plant up. The potatoes in the unheated greenhouse which I planted up in November are only about 1 cm high! On Sunday I filled another couple of pots with compost (from our huge, 3-bay compost system) and installed them in the conservatory to warm up and plant up a few more spuds that are chitting. If we rely on outdoor potatoes we won't get any until August unless the weather warms up dramatically. It's a cold day with snow flurries sweeping in from the north east. 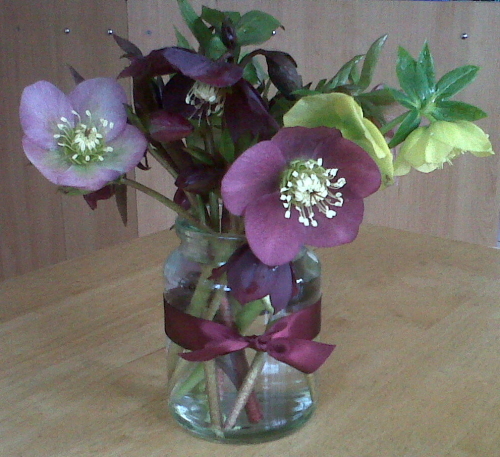 It's Mothers Day so I picked these hellebores from the garden to make a little posy for my Mum. Hellebores from the garden make a lovely posy for Mum on Mothers Day. We've had a few sunny days, although with cold nights. 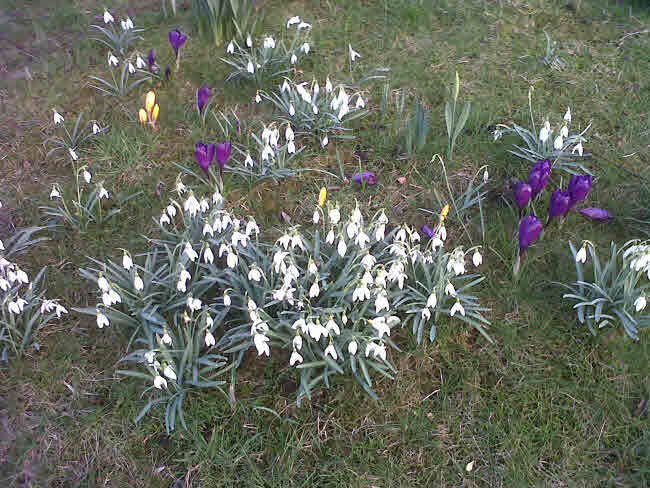 On Saturday morning I saw a few brave, or hungry, bees on the snowdrops, but none since.